Following on from our previous posts on Pearson’s Catalyst incubator and Kaplan’s joint initiative with TechStars, this week we’re taking a look at another publisher-turned-accelerator sponsor. McGraw-Hill Education announced their investment in Education Design Studio Inc. (EDSi) back in October 2013. EDSi is a combined incubator and $2.1 million seed fund that was set up by University of Pennsylvania’s Graduate School of Education and an ecosystem of education investors and partners. It’s objective is to provide support and coaching to education-focused startups in very early stages of development in order to increase their chances of success. McGraw-Hill Education invested an undisclosed proportion of EDSi’s $2.1 million fund value. McGraw-Hill’s contribution to the programme will consist of providing financial investment, consultation and market insight to the startups across a six year period of collaboration with the EDSi network. This approach is similar to Kaplan’s partnership with TechStars in their accelerator programme; future-oriented publisher joining forces with an investment company to source, shape and share the Next Big Thing in EdTech. What’s interesting in this example, however, is that the publisher has actually partnered with an education institution so that the needs, research and responses of the actual end users are directly on tap. Having said that, McGraw-Hill has stumped up $130 million of its own cash over the last year to carry out necessary digital R&D, as well as to enhance its current suite of EdTech offerings. Its recent purchase of ALEKS, for example, indicates the company’s strategy for moving into the personalised, adaptive learning space in an effort to future-proof its educational credentials. So, who are the inaugural cohort of startups participating in the programme? Founded in 2013, Apidapter is a fully hosted API translation service that enables educational institutions or vendors to easily build and manage enterprise integrations. Apidater eliminates the need to set up custom integrations whilst significantly reducing the amount of time spent on development and test cycles. 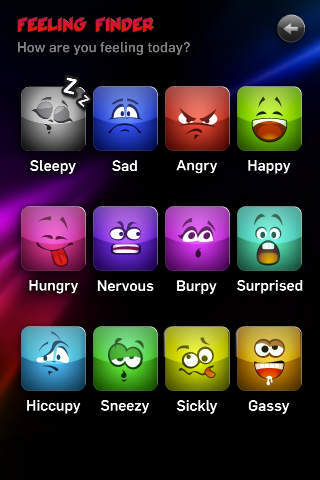 AutismXpress is a mobile application designed to help autistic children recognise and understand facial expressions and emotional states in order to be able to respond accordingly. The app aims to develop an autistic child’s emotional quotient (EQ) which describes an individual’s capacity to understand one’s self and others in terms of behaviour, emotions and intentions. They are presented with a series of mini games that use and demonstrate emotional states in a fun, playful way and get the children to either match or identify the feelings they see. Raise offers an ingenious solution to the increasingly exorbitant fees attached to HE education in the US by giving students the opportunity to monetise their academic achievements from as early as the 9th grade. Students are able to accrue ‘micro-scholarships’ through the completion of certain academic achievements, like participating in a sports team for their school or consistently getting high grades. The company is looking to shift the paradigm of scholarship application and allocation. Currently, the majority of scholarships are awarded at the completion of High School but, as Raise Labs point out, many of the low-income students have already academically ‘checked out’ or have set disappointingly low HE ambitions due to the apparent lack of financial support to get them where the really want to go. Scrible is a gloriously simple idea that humanises the experience of working online. The application enables users to mark up and collaboratively annotate websites. Annotated sites are then saveable, searchable and shareable. Genius. McGraw-Hill has embraced the startup culture in more ways than simply investing in it. 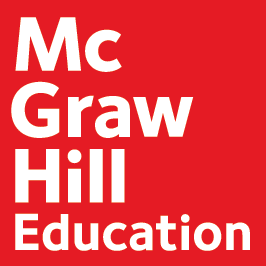 McGraw-Hill Education split from the parent company McGraw-Hill Corporation Inc. not so long ago and now refers to itself as a ‘125-year-old startup’. It’s fair to say that, as a publisher, McGraw-Hill is fully intent on walking the startup walk. Interesting companies. It really is a smart approach. Clayton Christensen argues in his ‘disruptive innovation theory’ that companies get overthrown because they can’t innovate. One reason why they can’t innovate is that the company *has* to be focused on the products that are making money. The culture and processes are all built around those products. (If they weren’t, the company would have already failed.) When someone tries to innovate, they’re swimming against a heavy current. They’re doomed. The way around this is to get the innovators out of the current–devote some money to innovation, but separate it from the company as much as possible. I think the classic example is IBM (based in NY) opening offices in Florida. Those teams innovated because they were essentially a new company. Anyway, this is clearly what the publishers are up to. Smart! Jeremy, is it possible that this approach is more akin to moving in a herd (and being a herder) than it is to true innovation. By herding companies I mean moving them into complementary roles which enhances the whole ecosystem and then enhances the “power” of the entire ecosystem. It is perhaps more similar to how Japanese businesses (keiretsu) have established interconnecting ties than to what Christensen was arguing for (innovation within a single company in search of the next disruptive force).